The relationship between Miley Cyrus and her father Billy Ray has plummeted from shaky to almost non-existent at times over the past few years. Maybe their bond deteriorated because he ripped her in the press. Maybe their bond deteriorated because they didn’t communicate enough or because he’s had more than his share of marriage problems. Regardless, it’s been in the sewer for awhile, and this week, it may have actually set the mark for the most embarrassing low moment yet. Not surprisingly, the conclusion many people have jumped to on the Internet is that Billy Ray is having an affair with the above woman, but since no one involved has spoken publically about any of it, it would also be fair to guess she was Billy Ray’s partner in a series of bank robberies, or she was the woman who conspired with Papa Cyrus to withhold the antidote, or she’s a secret ex-wife no one knows about. In fact, feel free to think up your own wild theory and believe it until you hear otherwise. Divorce might be hardest on children who still live in the house, but it’s no cakewalk for adult children either. There’s something about your parents getting along and sleeping under the same roof that’s just reassuring, but alas, not every couple is fit to last over the long haul, especially when one of them is apparently wielding a secret that involves that woman in the above photograph. Considering Miley hasn’t exposed any secrets on Twitter in the last twenty-four hours, it’s safe to assume Billy Ray either reached out to his family members or she decided airing more dirty laundry in public wasn’t the right call for anyone involved. 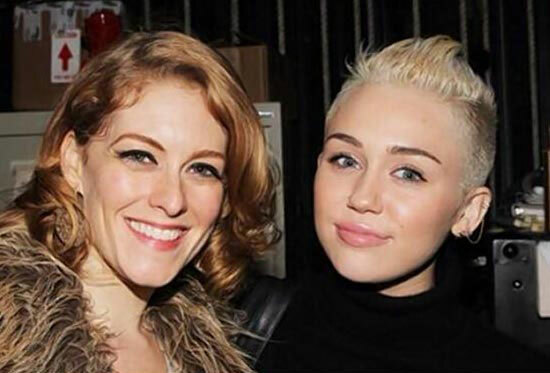 Either way, we will keep you updated whenever new tidbits about the Cyrus family drama drama go public.